The CLP Filtration System Water Maze's mechanical filtration systems are the standard in the high-pressure cleaning industry for automated wash-water recycling. All are totally automated using a digital sequencer to monitor and control the system's functions including filtration, recirculation, filter backwash and sludge discharge. 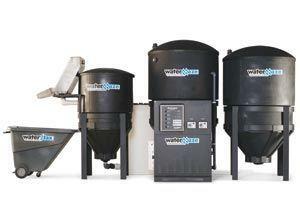 A variation of the CLP series is the CLPB series, which features a unique blend of mechanical filtration with bioremediation technology for highly effective water treatment.